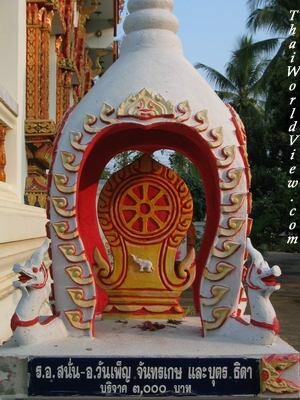 In a Thai Buddhist monastery there are some areas to make donations. 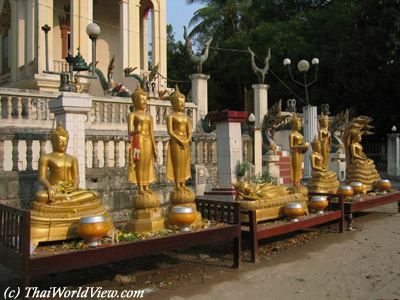 In Thai temples, seven different Buddha statues with a bowl in front of them can often be seen. Each statue represents a day of the week. Thai custom says that one should make a offer in the bowl of his birth day. There is a bowl in front of each statue. Thai people often give a one baht coin in each bowl. But it depends on everyone's wealth. 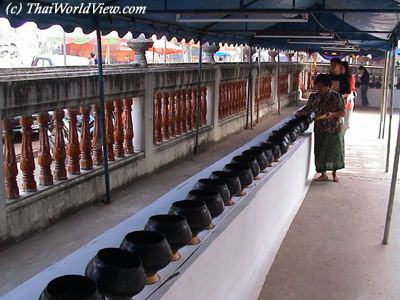 There a variance where Thai people donate coins in 108 bowls, representing the 108 different auspicious characteristics of a Buddha. Thai Buddhist people also read the future in paper wrapped around sticks. In a box there are a few sticks. They move the box up and down in order that a stick falls from the box. A number is written on the paper. Then thanks to the number, they can get another paper in a chest. They read the paper to know their future and then make a donation. In some temples, no need to shake a box to get a stick. 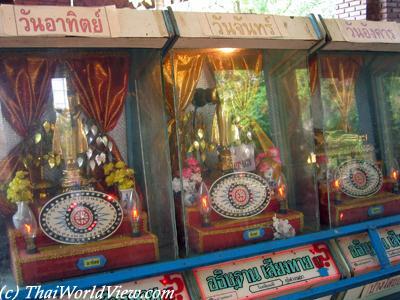 Some lucky draw machines containing a Buddha statue are available. The machine provides a random number. When lay people give donations to temple, name and the money amount are written on the item bought witht their money.